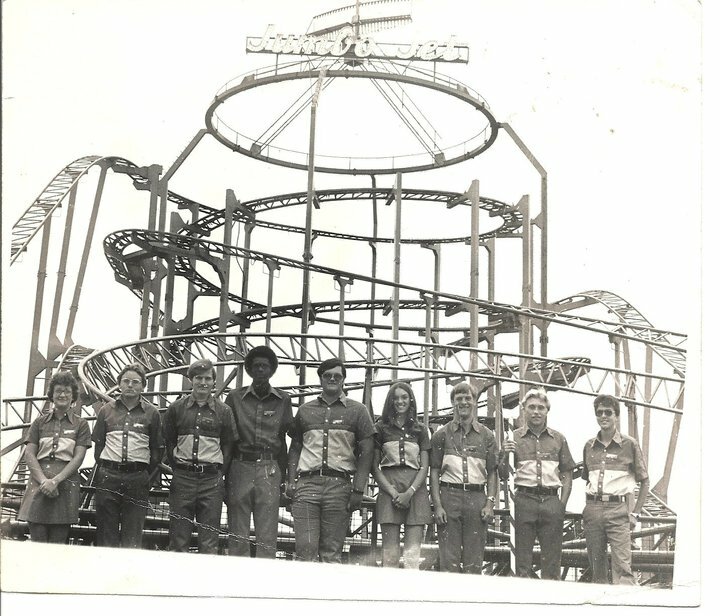 Mike G writes; This a photo of the 1978 Jumbo Jet crew that was taken for use in the rides department yearbook that year. What a GREAT picture of the Jumbo Jet and the proud Jumbo Jet Crew. How Cool… Special thanks out to Mike G. for allowing thelostcoaster blog to post. Let’s Ride! Note… Mike G is the 3rd person from the right. Just to the right of the guy with the “You must be this high to ride” stick!